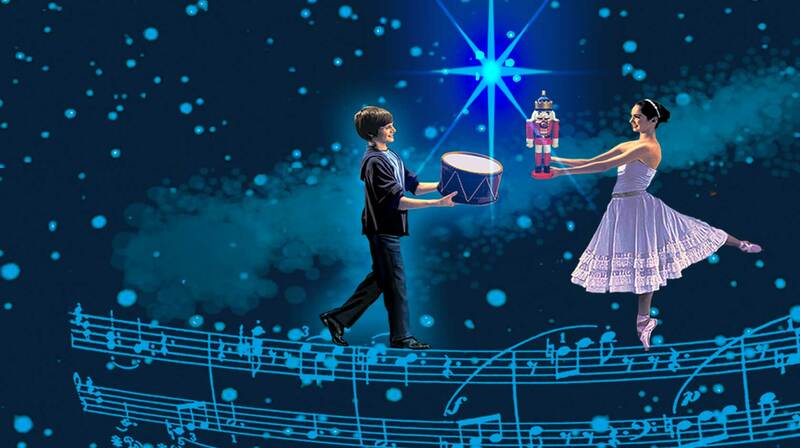 A marvelous spectacular no matter what the season, Christmas Dreams is the perfect musical adventure for young and old alike. . . A poor but talented Little Drummer Boy (Conrad Sager) seeks to win the friendship of the Pretty Girl (Francesca Flamminio) he knows from the playground. Bedeviled by her Bratty Brother (Daniel Venini) and watched over by the magical village Toymaker (Marlin), the Little Drummer Boy dreams an enchanted Christmastime world. Fantastically, the Pretty Girl shares the same dreamscape with the Little Drummer Boy and imagines her own awesome adventure. Wakening on Christmas Day, the kids bring their families together to share their greatest gifts with each other, realizing that it is truly greater to give than to receive. Loaded with humanity, pageantry, sentiment and laugh-out-loud humor, Christmas Dreams is entirely and wordlessly told through color, movement and dance. A unique triumph of visual story telling, the movie features a lush and tuneful score created from traditional favorites by composer Michael Rapp (Rasputin, Masters of the Universe) and breathtaking direction by Andrew Repasky McElhinney (A Chronicle of Corpses, Animal Husbandry). Inspired by Tchaikovsky's Nutcracker ballet, Alice in Wonderland and beloved traditional holiday favorites including God Rest Ye Merry Gentlemen, We Three Kings of Orient Are, Away In A Manger and The Holly and The Ivy; Christmas Dreams is a simple, sincere and spiritually affirming story of kids at the holidays. The result is a beautiful, crowd-pleasing fable about the true nature of giving, letting love into your heart, and following your dreams. 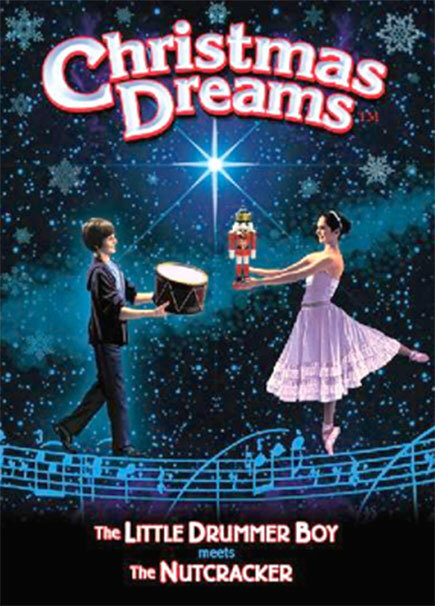 Christmas Dreams is the magical gift that will surely delight audiences of all ages year after year.